His internet-only release City Sketches – a disc privately released commemorating the 1996 Olympics – is a musical portrait of the city of Atlanta celebrating the city’s unique history. Violinist Regina Carter so loved “Downtown Underground” that she in turn recorded it on her CD, Something for Grace. Baldwin performed for the athletes at Atlanta’s Olympic Games and shared the stage with Roy Ayers and Chuck Loeb at the Club Benson and Hedges Music Festival. Then in 2000, he traveled to South Africa with Marion Meadows for a historical concert. Welcome To The Games (Remixed Version) is an Atlanta-based homegrown remix of a project Bob Baldwin did years ago in 1996, and it is Funky! This album contains three new tracks and with 3 bonus tracks “For My Baby”, “Thought It Was You”, and “Funkin’ For Jamaica” (instrumental), all partially recorded in the late 1990’s. 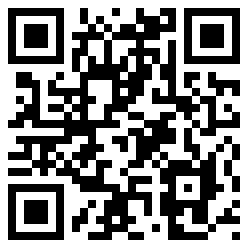 You get this album exclusively on Bob’s website. Pianist/Arranger Bob Baldwin delivers timely music in the spirit of the classic “What’s Goin’ On” vibe as some tracks speak to the current conditions of the US and the world. The sampler features the powerful vocals of Lori Williams on the heart-wrenching “Where’s That Smile” and the popular Pandora recurrent smash “Stand Tall”, now edited for radio, a heartfelt composition penned following the historic 9/11 tragedy. Music with a Message is his brand-new album, now available on Amazon.com. Bob Baldwin is an International Jazz artist, having recorded on 4 different continents since the beginning of his recording career (1988). He has 8 top-10 Billboard Jazz discs since 2000. In 2015, his tribute to Stevie Wonder (“MelloWonder/Songs in the Key of Stevie), broke top through the top-10 Billboard Jazz Charts, his 12th Top-20 disc. In 1988, Roberta Flack selected him as the Sony Innovators Award winner in a highly publicized new-artist-signing contest. He was then walked into music mogul Sylvia Rhone’s office and signed his first deal with Atlantic Jazz. He’s worked with such Jazz and Pop stars like George Benson, Grover Washington, Jr. (RIP), Will Downing, Marion Meadows, Pieces of a Dream, Kirk Whalum, Phil Perry, Chuck Loeb and Chieli Minucci, to name a select few. His newest project is The Gift of Christmas. This album features on selected tracks Lee Mendelson, Corvina Nielsen, and Ragan Whiteside. The album is on sale at Amazon.com. Composer and multi-instrumentalist Bob Baldwin assembled a Latin-American team of musicians to create the ultimate soundtrack for Olympic 2016 in Rio. Team players are Café Da Silva, Armando Marcal and Rafael Pereira (percussion), Torcuato Mariano, Marlon McClain and Phil Hamilton (guitars), Gabriel Mark Hasselbach (trumpet), Marion Meadows and Freddy V (sax), Ragan Whiteside (flute), James “Crab” Robinson, Porter Carroll II, Gigi, Zoiea Ohizep (vocals). Baldwin is singing lead and background as well as playing piano, Rhodes, keyboards, bass, drums, percussion, Moog bass, Melodica, strings and clave on the album. The double album encompasses the recordings of two hemispheres, Movement I Rio-Ipanema and Movement II New York. Every CD is created in separate cultural circles with very own musicians. 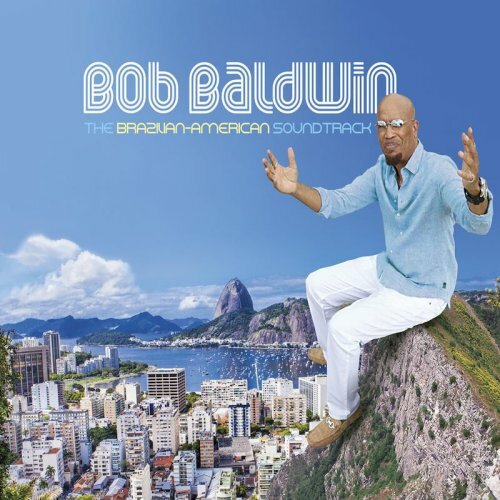 The Brazilian-American Soundtrack is Baldwin’s second foray into Brazil expanding on the territory he mined on his 2004 album, “Brazil Chill.” This time out, he purposely incorporated more American nuances into the mix. Supplementing his own compositions, he elected to honor a few of the iconic artists who influenced his artistic muse including Antonio Carlos Jobim (“Corcovado”), Ivan Lins (“Anjo De Mim,” “The Island” and “Love Dance”) and Djavan (“Eu Te Devoro”). Another formative inspiration was Maurice White, the late Earth, Wind & Fire creator and leader who Baldwin remembers with a heartfelt spoken word tribute that closes the album, “The Message,” and on two musical numbers, “Maurice (The Sound Of His Voice)” and “The Greatest Lover,” the latter of which was recorded in the spirit of White’s hall of fame band. Meticulously produced, performed, composed and arranged, most of the tracks on The Brazilian-American Soundtrack are tightly segued, maintaining a smooth flow and graceful transition from cut to cut through more than two hours of music.